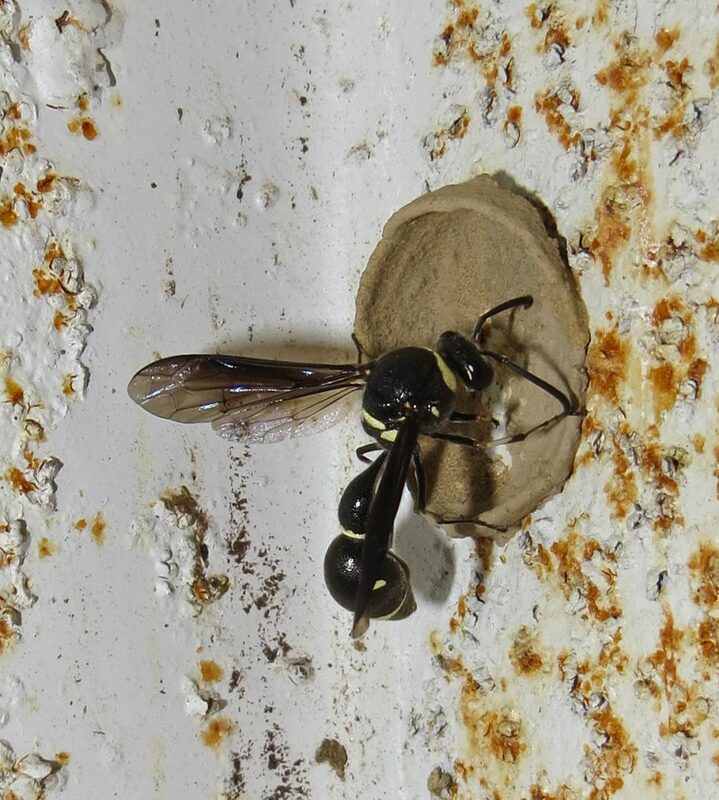 Since I moved to Florida from Ohio last year, I have been observing a variety of interesting stinging insects right outside my front door. 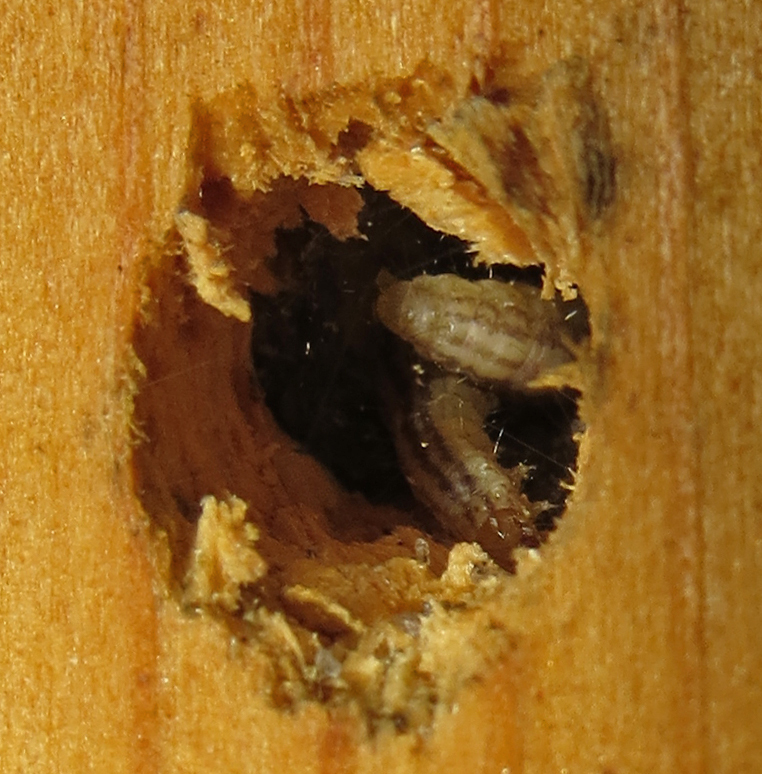 I put a nesting board for solitary bees into the recess for the garage window. 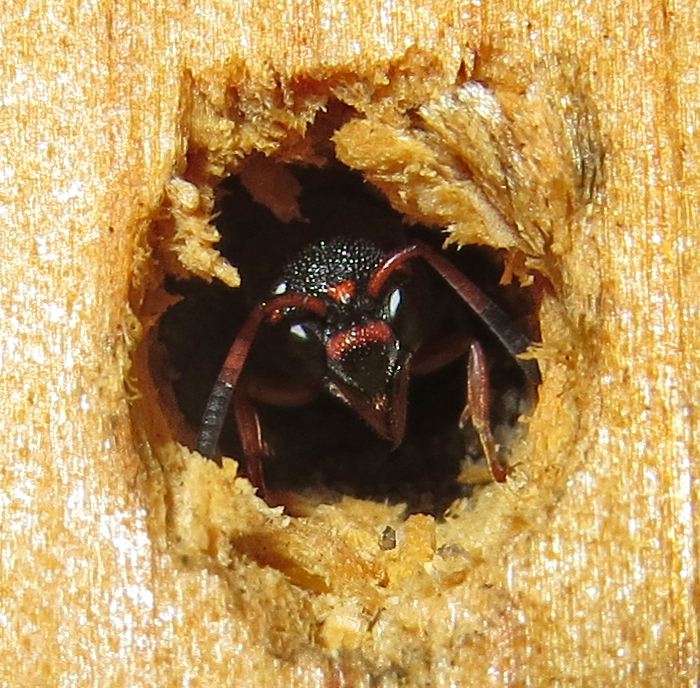 I drilled a thick board with numerous holes of various diameters to accommodate various species. But other, less-encountered species have set up housekeeping, too. … and giving nosy me stink eye. … and then seals the cell. 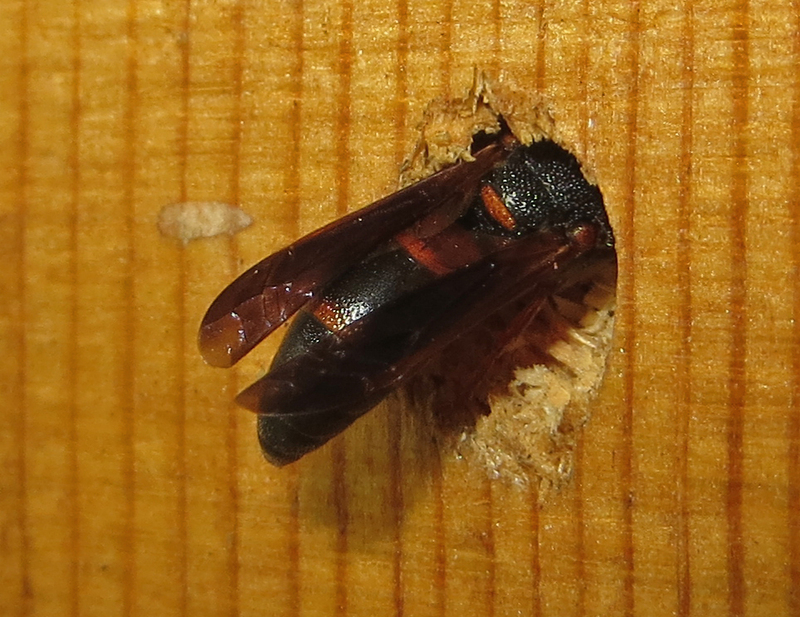 Meanwhile, a potter wasp (Eumenes fraternus) was also on the house, constructing nest cells from mud. 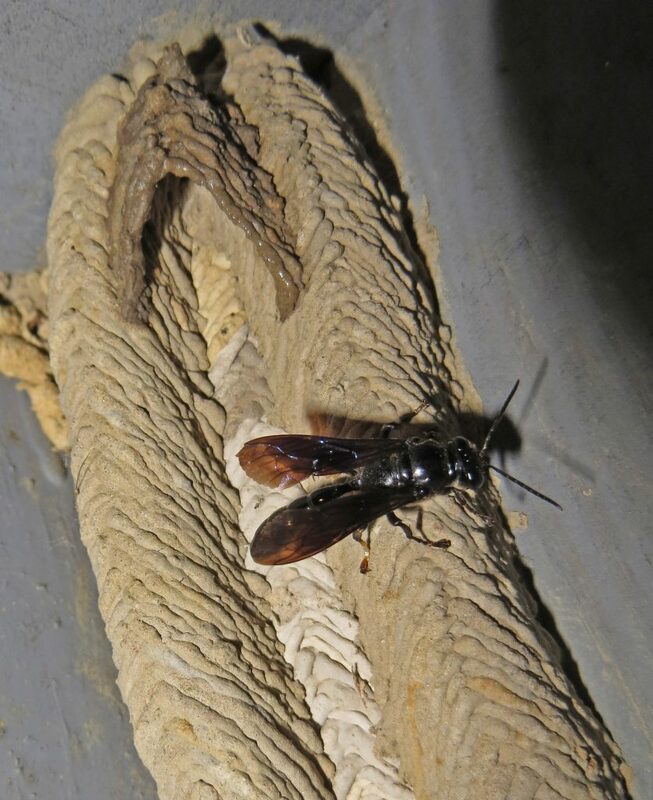 It’s important to note that most homeowners have the mud nests of wasps removed because to them, the nests are an eyesore. 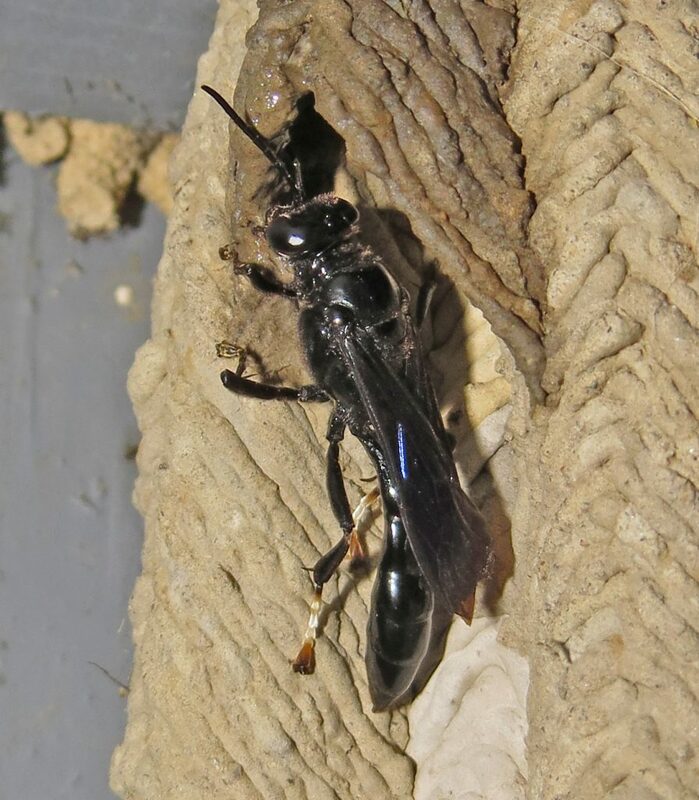 Unlike a paper wasp or other more aggressive species, however, the likelihood of someone being stung by one of these wasps is extremely low. These three species are not aggressive at all. 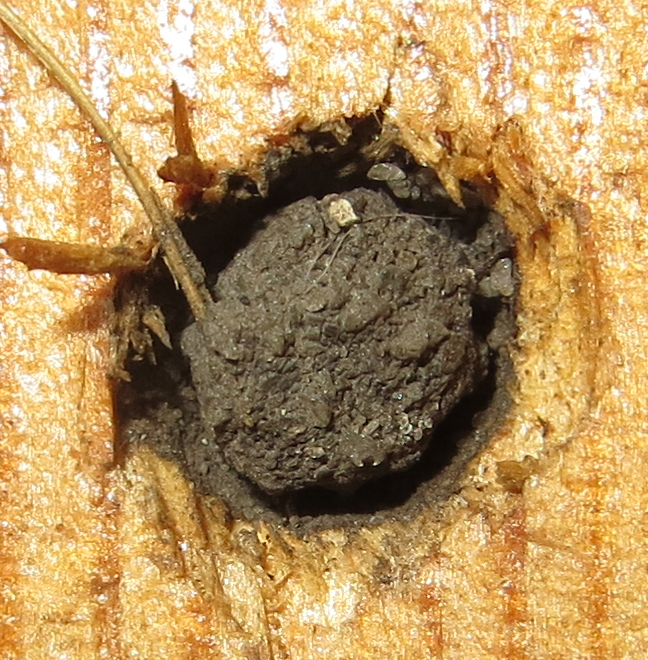 Oftentimes the nests are so well concealed that they get overlooked (fortunately). 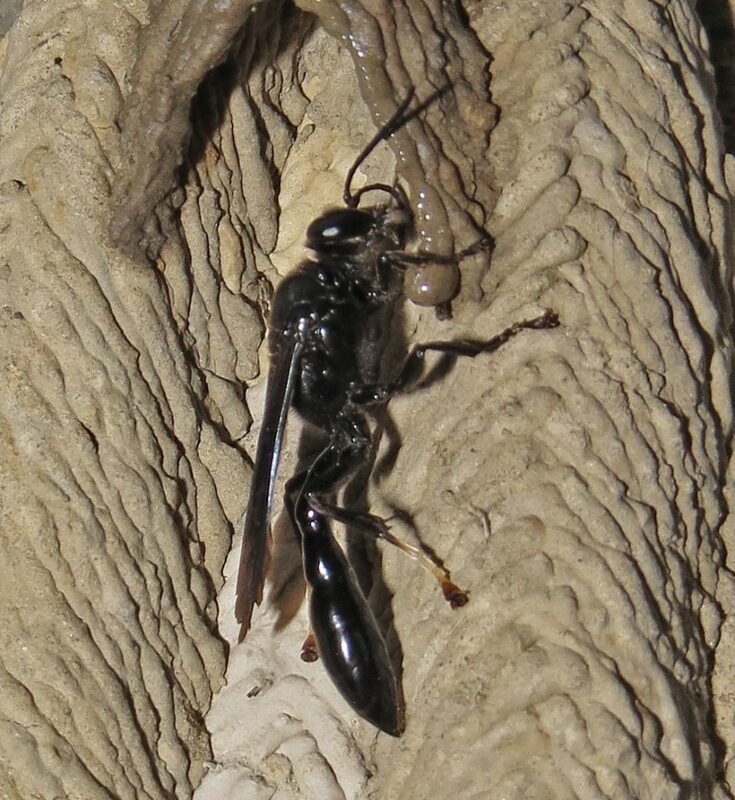 As with most wasp species, there is a biological control (natural pest control – biorational) value to the females provisioning their young with abundant nuisance insects, including caterpillars, other insect larva, flies, crickets, katydids and spiders.